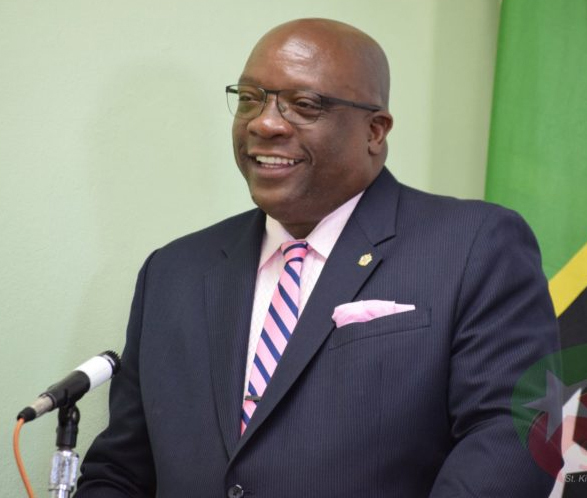 BASSETERRE, St. Kitts — More than 1,200 Government Auxiliary Employees (GAE) who were disenfranchised under the former Dr. Denzil Douglas-led administration will receive holiday pay in December under the Team Unity Government. That announcement was made by Prime Minister and Minister of Finance, Dr. the Honourable Timothy Harris during his Nov. 14 Press Conference at the Parliamentary Lounge at Government Headquarters. Prime Minister Harris said his government had promised that if the necessary work to reinstate the payments owed to Government Auxiliary Employees was not completed by September 2018, his administration would restore the holiday pay to these workers. Government Auxiliary Employees, formerly called Non-Established Workers, used to receive a payment called honorarium, which was paid at two percent of their accumulated salary per year. That payment was stopped in 2008 under the previous administration, with the understanding that the two percent would instead go into their pension account. However, the pension fund was never created. To resolve the matter, the Team Unity Government activated a Pension Committee in 2017 and tasked it with devising a pension plan to benefit these workers who were not entitled to a pension upon leaving government work. That committee has since presented several findings to the Cabinet. The Team Unity Government has engaged the services of an actuary to assist in resolving all outstanding issues relating to the incorporation of the Government Auxiliary Employees into the pensionable establishment.